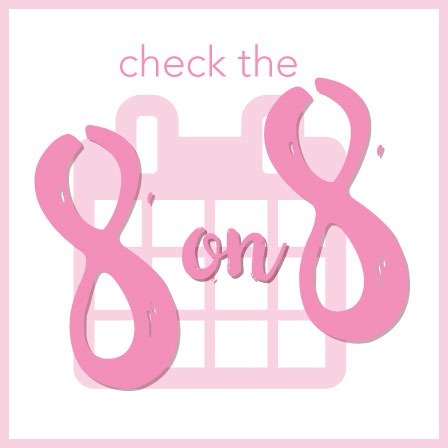 Today is June 8th and you know what that means, yes today is #Check8on8 ! Check the 8 on 8 is a simple reminder to check your female dogs teats for any abnormal growths that could lead to mammary cancer. So why should you be worried about breast cancer in dogs? Simply put, the statistics. So lets start out with looking at our own statics as women. According to the American Cancer Society, it is estimated that about 231,840 new cases of breast cancer will be diagnosed in women, along with 60,290 cases of carcinoma in sito (the earliest form of breast cancer). Of these, approximately 40,290 women will die from breast cancer this year. These statistics are crazy and absolutely scary. What is even scarier is the fact that approximately 3 times as many dogs will be diagnosed with mammary tumors. And approximately 45-50% of those cases will be malignant. As a rescue mom these statistics are scary to me, but what is even sadder is the simple fact that our household is already a part of the statistics. Mammary tumors are more common in female dogs that are never spayed or were spayed after 2 years of age. If you have a rescue female dog, you may be in this category with me. The risk of a female dog developing a mammary tumor is 0.5% if spayed before their first heat (approximately 6 months of age), 8% after their first heat, and 26% after their second heat. If you have a female dog, make sure she is spayed. Not only does this help reduce the chances of mammary tumors, but also helps control the pet population. Be sure your dog has annual check ups with a regular Canine Preventative Care program. Check the 8 on 8 – conduct monthly dog breast exams! Join us every month on the 8th take a couple of minutes to check your female dog’s teats. 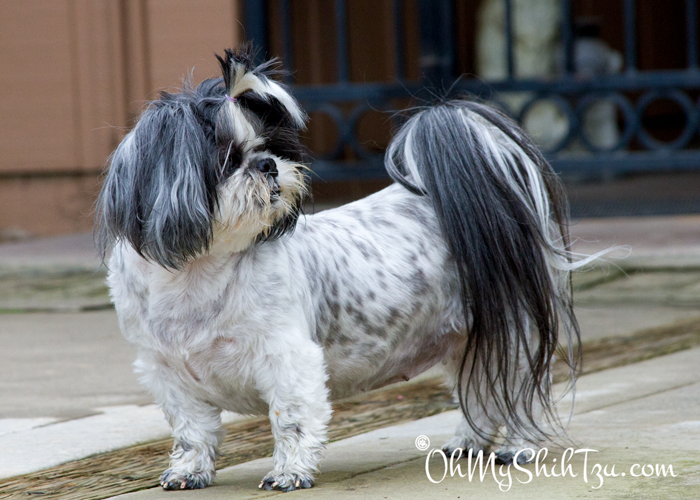 By becoming familiar with your dogs body and you will be able to quickly identify something that is abnormal. This can be a perfect time for a massage and relaxation session for both you and your dog! Spread the word on social media. Facebook, Twitter, Pinterest, and Instagram! Be sure to use the hashtag #Check8on8 . 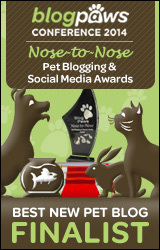 Join us along with Pawesome Cats and Dogthusiast in our monthly Check the 8 on 8 blog hop! Grab our badge and show your support! Great reminder and something I definitely need to do. I’m always focused on osteosarcoma since that is highly prevalent in giant breeds, but mammary cancer deserves my attention too. It’s Dog or Nothing recently posted…So You Want a Great Pyrenees? and this is such an easy cancer to look for and feel for! Certainly something even us boy dog people need to be aware of and also pass on. I shall share – #mostdef Thank you. Those statistics are terrifying! I wonder if they are similar for cats. I’m sorry that you have had to deal with breast cancer in your dogs. That has to be one of the most heartbreaking things to hear your veterinarian say. I will make sure to check my Manna today. Actually the statistics of cats is much worse. If a cat is diagnosed with mammary tumors, it is a rate of 85-90% malignant. It is much worse if a cat has mammary tumors. This is such an important post! Thank you for spreading awareness about this. Thank you for helping us spread the word!! Be sure to join us next month! Thank you so much for spreading awareness; I don’t know if pet owners realize how big of a problem breast cancer is for dogs; I know I certainly didn’t. I wouldn’t have known either had it not been for our monthly cancer screenings. Now relaxing little massage sessions are check the skin time for lumps, bumps and discolorations!